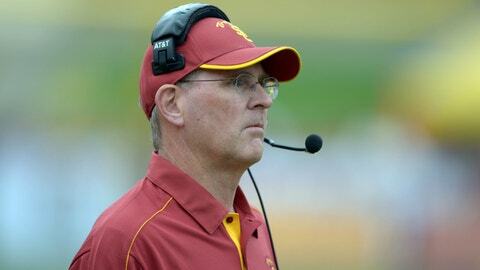 Florida hired Mike Summers, who spent last season at USC, to be the program's offensive line coach. GAINESVILLE, Fla. — The revamping of Gators coach Will Muschamp’s staff is complete. Muschamp announced Monday that he has hired Mike Summers as offensive line coach. A native of Kentucky, Summers has SEC and NFL experience after spending last season at USC. Summers will rejoin former Kentucky head coach Joker Phillips at Florida. Phillips hired Summers as offensive line coach/run game coordinator at Kentucky in 2010 when he took over the program. The Wildcats averaged 6.1 yards per carry in Summers’ first season, the second-best mark in the program’s history. "I’m excited to have Coach Summers join our staff," Muschamp said. "He has 34 years of experience, has been an offensive coordinator for 15 years and has coached in the SEC. He has a diverse background and has experience in the NFL. He will be a great addition to our staff." The hiring of Summers caps a busy month for Muschamp, who has added offensive coordinator Kurt Roper, special-teams coordinator Coleman Hutzler and director of player personnel Drew Hughes since the end of the regular season. In Summers’ only season at USC, the Trojans averaged 172.8 yards rushing per game and 4.5 yards per carry. 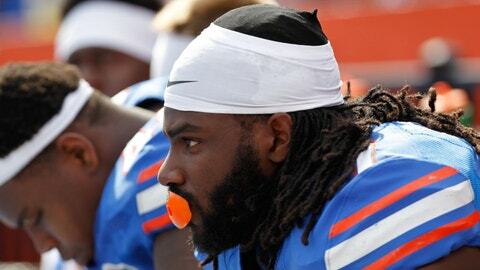 The Gators averaged 3.6 yards per rush and 145.8 per game in 2013. The 57-year-old Summers is a veteran of the SEC. He started his career as a graduate assistant at Kentucky in 1980 and was hired at Arkansas by Bobby Petrino in 2008 as assistant head coach/offensive line coach. After two seasons with the Razorbacks, Summers returned home to join Phillips’ inaugural staff at Kentucky. Summers is married to the former Kathy Hall, daughter of former Kentucky basketball coach Joe B. Hall. Summers has a strong history of producing results and was one of 29 nominees for the Frank Broyles Award, given annually to college football’s top assistant coach, in 2012. He also has more than a decade’s experience calling plays as offensive coordinator at Northern Illinois, Oregon State and the University of the South. "I’m honored to be joining Coach Muschamp and his staff," Summers said. "I have the utmost respect for Coach Muschamp, the staff and the support system in place. Having been in the SEC I have always held the Florida program in high regard and I’m looking forward to getting right to work." Summers teamed with Petrino at Louisville and helped the Cardinals rush for a school-record 3,005 yards in 2004 and lead the nation in total offense. With the Trojans undergoing staff changes after the season, Summers was targeted by Muschamp to replace Tim Davis. Summers has also spent time at Texas A&M (1982-85), Oklahoma State (2000), Ohio (2001-02) and a season with the Atlanta Falcons (2007). During his time at Louisville, Summers coached center Eric Wood, a first-round NFL draft pick and currently a captain and starter for the Buffalo Bills. Summers grew up in Lexington, Ky., and played defensive back at Georgetown (Ky.) College.